Class I – 2&3 grades, Class II – 4&5 grades, Class III – 6&7 grades, Class IV – 8&9 grades, Class V – 10&11 grades, Class VI – 12 grade, Class VII – students with disabilities. All posters must meet the deadline of Friday April 12. A drop box will be located at 427 North Main Street Valentine starting April 8. Posters received after the deadline will be displayed, but not judged. For rules and other information please phone 402 376 2443 after 4 pm. 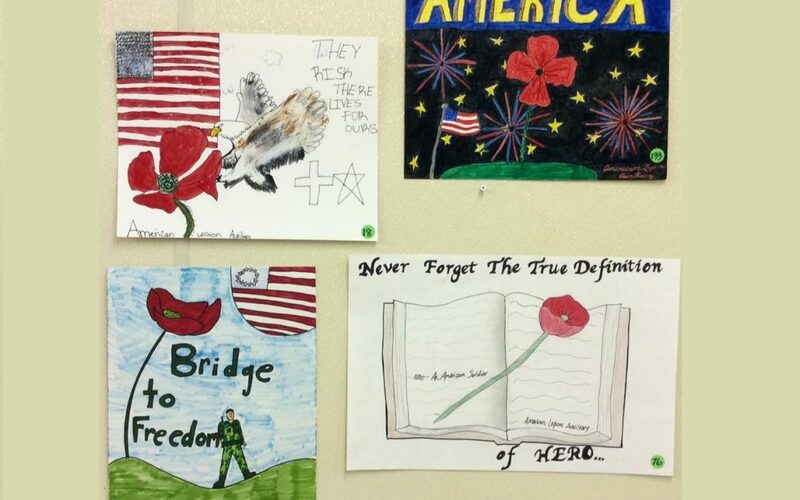 All posters received will be displayed at the Veterans Club during 1884 Day activities on April 27. Posters selected to go to state competition and all other winners will be featured on the south wall during the annual pancake breakfast. Post 90 will sponsor a ballot for a “peoples’ choice poster” and folks may vote for their personal favorite.